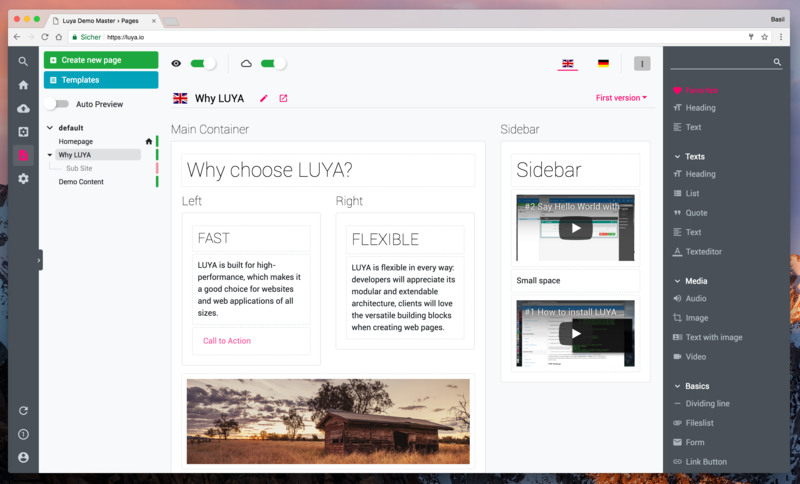 LUYA is a fast and flexible framework and content management system built with the goal to please developers, clients and users alike. Every successful open source project needs an active and inspiring community to thrive. This is no different with LUYA. Join the young but growing LUYA community, ask questions, provide feedback and translations, amend the documentation, develop modules or help with core development – your participation is welcomed! This demo will reset every 60 minutes.